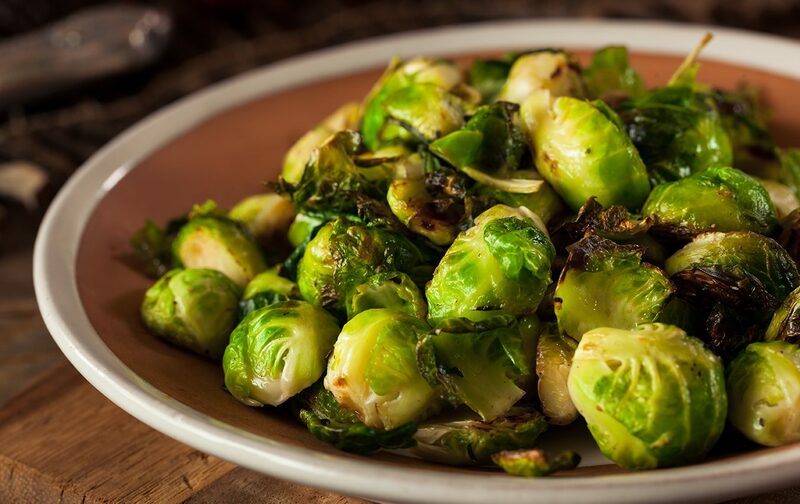 Add Brussels sprouts, onions and garlic to pan. Drizzle with olive oil. Sprinkle with salt and pepper. Toss with clean hands, until coated. 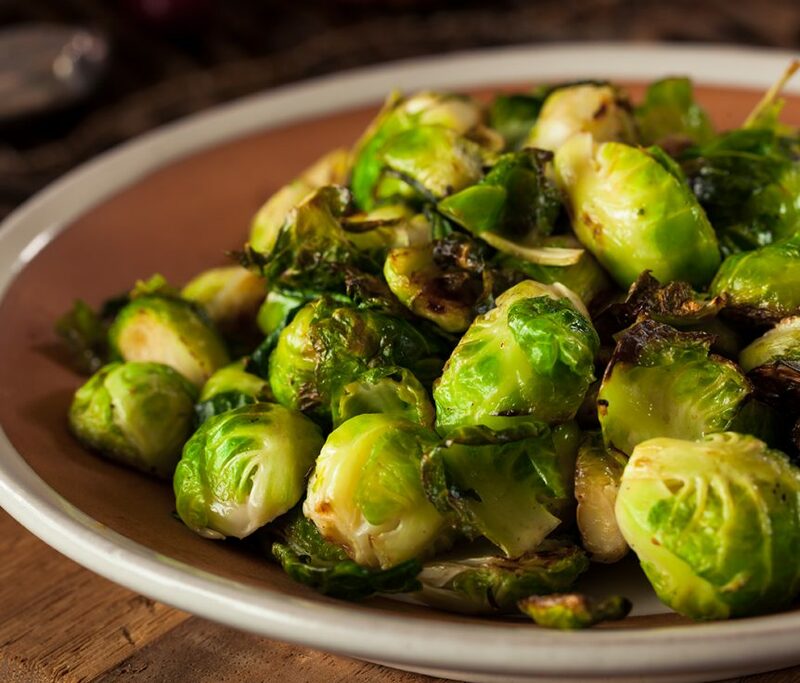 Wiggle the pan until Brussels sprouts are in a single layer.